Docker is a platform for designing, building, and launching “containers,” which are isolated environments containing all the software and configuration files necessary to run a service or application. Getting started with Docker on your VPS is pretty straightforward, and once you’re set up via this tutorial, it’s like you’ve “leveled up” in DevOps. More stability, more flexibility, and a lot more ways to recover quickly if (or when) you mess things up. You can develop locally using a specific environment. You can ensure that local development environment is replicated exactly when you’re ready to deploy code, ensuring 100% compatability. Build Dockerfiles/Docker images to make your site/app portable to multiple VPSs for redundancy or fail-over. Host multiple applications on a single VPS without them interacting—or conflict—with one another. For example, run two WordPress installations with separate Apache/Nginx web servers and separate MySQL databases. One container can crash to its heart’s content without affecting other containers or the health of your VPS. Capability to automatically restart containers upon reboot of the VPS itself. A certain degree of improved security by separating different apps into different containers. It’s clear that Docker should probably have a role on your VPS. Let’s get started on installing Docker and taking the first steps toward a container-powered VPS. 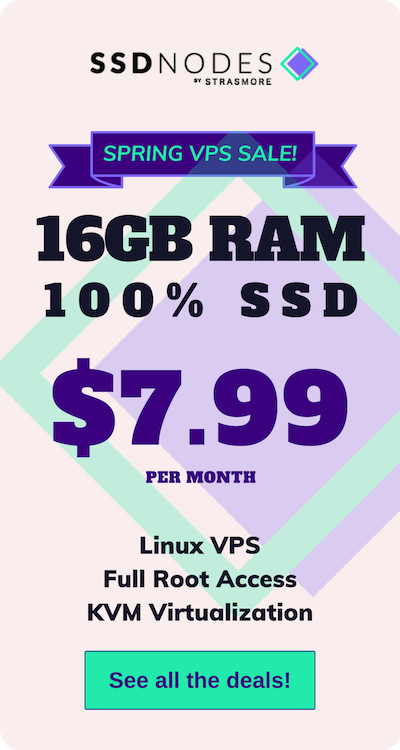 A virtual private server (VPS) running any of our available OS options. See our pricing for details. A non-root user account (commands requiring escalated privileges will use sudo). The script checks your operating system, downloads and installs package repositories, installs Docker itself alongside any dependencies, and starts the Docker service. Note: Running scripts in this way can be risky. You’re trusting the developers and the script they wrote, with sudo access to your machine. It’s always best to check out the script before running it to make sure there’s no funny business. Enable Docker to start automatically after a reboot. Allow the non-root user to manage Docker. In CentOS, Debian, and Ubuntu 16.04, systemd is responsible for managing which services start when the system boots up. That means you can enable this with a single command. Once the Docker service is set to start automatically upon rebooting your VPS, all Docker containers will also spin up automatically. All your apps running in Docker containers will come back online without any manual intervention. , so once you have enabled the docker service itself, you do not need to take any further steps. This means that any application you run via Docker will gracefully restart after boot, potentially minimizing downtime (as long as the services inside the container are set up to start at boot themselves). In order to give our non-root user access to the Docker management commands, we need to create a docker group (it may already be created for you), and then add your primary user to that group. Log out of your VPS by typing exit or Ctrl+D and log back in. Then, you can test whether or not you can use the docker command without prepending sudo. Compose is a tool that helps simplify the configuration and deployment of Docker containers and applications by using an easy-to-read .yml/.yaml file. In some cases, this will be easier than writing out a lengthy command for the shell prompt. As of April 3, 2019, 1.24.0 is the newest version of docker-compose. You may want to check the releases page to see if there’s a new version, and then replace the 1.21.2 in the command below with the newer version number. Now we can get to the exciting bit—actually starting up some Docker containers running actual applications. No more Hello, world! We’ll start by creating a very basic LAMP stack using the php:apache container available from Docker. But, before that, let’s create a directory on the host to store our files, which we’ll link to the /var/www/html directory within the container. Then, we can create a small PHP file named info.php that will display information about the PHP configuration. It’s a standard method of testing PHP-based installations. Finally, we have our docker command. But, before you run it, check out the information just beneath the command so that you can understand exactly what it’s accomplishing. First, the docker run specifies that we are going to create and start a new container, and the -d option means we will “detach” from it, much the way one detaches from a tmux session or an ssh session. In cases where you want to immediately run commands inside the newly-created container, you can omit the -d.
We use --name=apache to give the container a specific name. This is recommended, because your chosen names will be easier to manage and remember than the randomized defaults—comes in handy when you want to stop or delete a container. -p 8080:80 will expose port 8080 to traffic arriving on the VPS, and will route that traffic to port 80 on the container. This makes it possible to expose different containers to different ports, and enable more complex configurations with an nginx reverse proxy. -v $HOME/apache:/var/www/html is a virtual drive mapping. In this case, any files in the directory before the colon, $HOME/apache, will be available in the /var/www/html directory inside the container. And finally, php:apache tells docker which image to use. More images can be found on the Docker store. Now, for the sake of showing some more core docker commands, let’s gracefully shut down this container, delete the container, followed by the image itself. 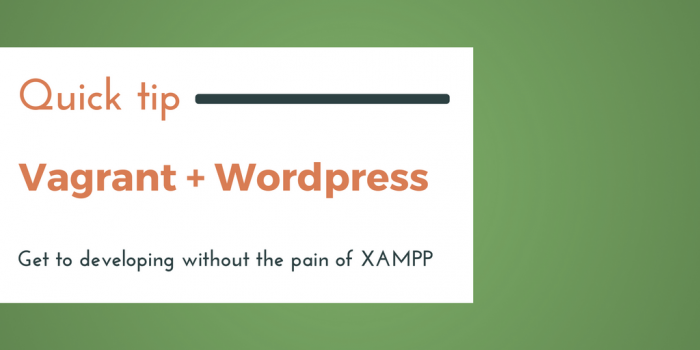 Let’s take the LAMP stack a step further with a full-blown WordPress installation, and this time, let’s also use docker-compose to make the process a little bit more human-readable. The first step is creating a new directory for this project. Then, create a docker-compose.yml file that will specify the configuration. This will create two containers: one running Apache/Wordpress, and another running the mysql instance, with data persisted between reboots and container shutdowns. Of course, for production use, you will want to change the passwords to be more secure. To launch the container for the first time, use the docker-compose up command. Now, you can check on these new containers using docker ps. Of course, the WordPress installation is now available on http://YOUR-SERVER-IP:8080, for you to begin the famous 5-minute installation. And, if for any reason, you need to shut down these containers while retaining the data, use docker-compose down. We hope you’re excited about taking full advantage of container technology on your VPS. By offloading services to containers, you can keep your base OS cleaner, with fewer attack vectors, and with less risk of various applications conflicting with one another. Plus, it’s much safer to make mistakes with containers! All you need to do is stop the container, remove it, and try again, without worrying that you’re cluttering up your system or potentially breaking it. Enjoy your containers! And, while it’s definitely possible, we can’t recommend running Docker inside of Docker.